Bioware's Infinity Engine was home to many great games in past that totally defined RPG game genre with deep storyline, engaging gameplay, isometric graphics, and dungeons and dragons rules based gameplay. Almost all the games under infinity engine became hugely popular and are even today considered to be best games in their genre with huge dedicated fan base. These all time classic games can be played natively on Linux thanks to project called GemRB. GemRB (Game Engine Made with Pre-Rendered Background) is a "port" (actually a new implementation) of the original Infinity Engine to Linux/Unix, Mac OSX and Windows with some enhancements. For other distributions, you can download pre-complied binaries and source from here. Note: NJW's game launcher can install only Baldur's Gate I and Planescape Torment. For other games follow the instructions below. Edit it with a text editor and enter relevant paths for game data, saves and other things as mentioned in the file. You can also configure game settings like resolution etc. Insert your game CD or mount image of the game. Go to Applications > Wine > Configure Wine and on to the Drives tab. 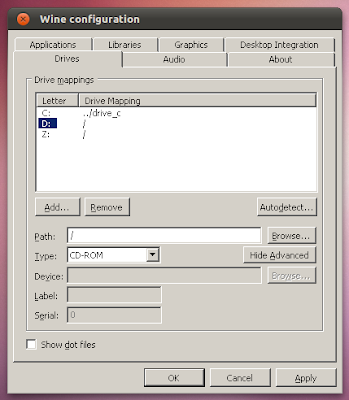 Add a new drive as CDROM and point it to the location where the CD or iso image is mounted as per the screenshot below. Now here you can repeat this process for all the CDs while you install the game i.e. inserting the next CD and then mounting it in wine config. But its time consuming and annoying so we will just keep the first CD in drive and extract the contents of remaining CDs in separate folders. Try any of these three methods and you should be able to play the game. For me, method 1 & 2 worked 100% but had some issues with method 2. 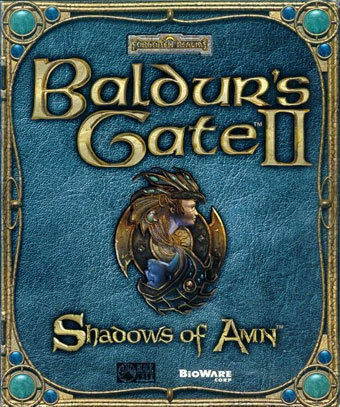 Anyway install your favorite game and watch the video I recorded playing Baldur's Gate II with GemRB. For further information, guides and documentation, please visit GemRB project page.